The United Nations Secretariat, agencies, funds and programmes, and affiliated organizations support the implementation of the United Nations Global Counter-Terrorism Strategy both through their individual mandates and through their membership in the United Nations Global Counter-terrorism Coordination Compact. The Global Counter-Terrorism Coordination Compact is an agreement between the UN Secretary-General and 36 UN entities plus the International Criminal Police Organization (INTERPOL) and the World Customs Organization (WCO), which was developed as part of Secretary-General Guterres’s reform of the UN counter-terrorism architecture. It is the largest coordination framework at the United Nations across the organization’s three pillars of work: peace and security, sustainable development, human rights and humanitarian affairs. 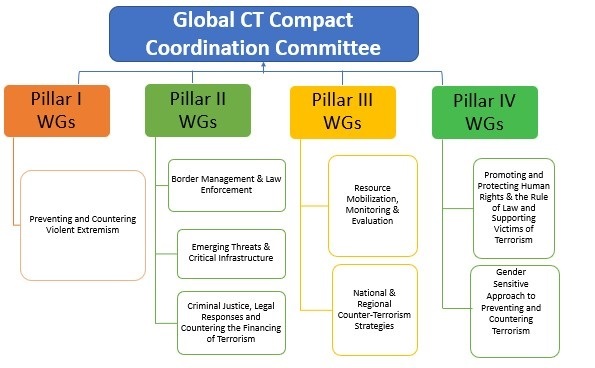 Under the umbrella of the Global Counter-Terrorism Coordination Compact Committee chaired by the Under-Secretary-General for Counter-Terrorism, inter-agency Working Groups were revitalized in April 2019 to practically enhance coordination and coherence of UN counter-terrorism efforts. These Working Groups are tasked to ensure timely information-sharing, joint programming and resource mobilization efforts, to avoid unnecessary duplication of efforts and enhance synergies. The objective is to increase the impact of the UN’s work on the ground to promote and support the balanced and comprehensive implementation by Member States of the UN Global Counter-Terrorism Strategy, as well as other relevant resolutions of the UN General Assembly and Security Council. 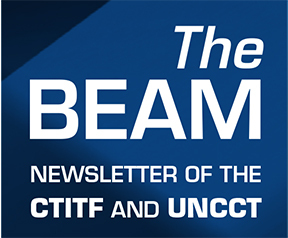 Mobilizing resources for UN counter-terrorism efforts and monitoring and evaluation. 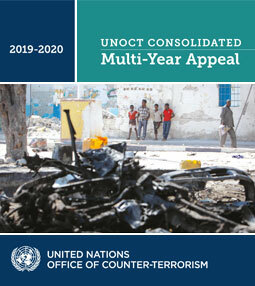 The UN Global Counter-Terrorism Coordination Compact replaced in 2018 the UN Counter-Terrorism Implementation Task Force (CTITF), which was established in 2005 and counted then 12 thematic inter-agency working groups.